The newest free-to-play game from Respawn Entertainment is taking the internet by storm, and you'll definitely want to give it a go. Set 30 years after the events of Titanfall 2, it takes place in the Titanfall universe, in a world called Outlands. Humans and robots are forced to duke it out to the death in a competition known as the Apex Games. There, 20 three-person squads fight for supremacy until one team is left standing. 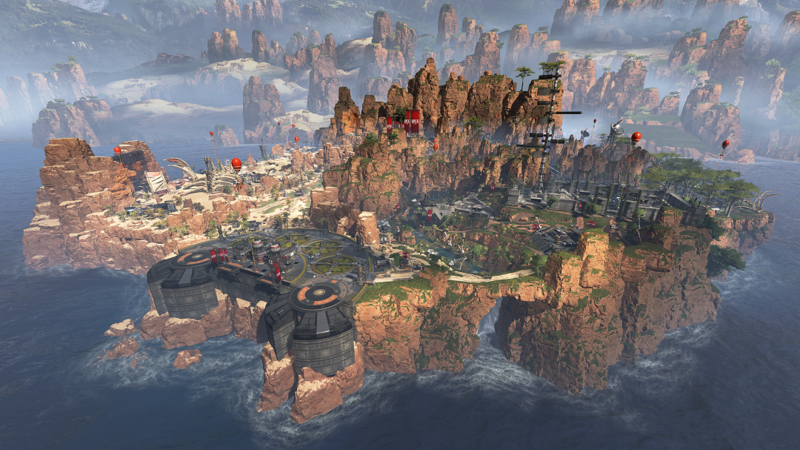 The action takes place on the massive map Kings Canyon, where you'll engage in combat with 60 players scrambling to find weapons, ammo, and loot on the battlefield. All the while, a shrinking ring closes in slowly, forcing all players closer to the center of the map while the teams battle for supremacy. It's familiar to anyone who's even duked it out in a Battle Royale before, but still different enough to seem like a totally different game, and one you'll definitely want to get your feet wet in. While there are no rideable Titans to speak of or any mech analogues to gun down others in, there's tight, frenetic gameplay that allows you interact with the environment in a satisfying way. There's an abundance of explosive gunplay and fluid acrobatics that you'll revel in as you mow down the competition as one of "Legends," or hero characters with unique abilities, much like those seen in Overwatch. In typical Battle Royale fashion, you can choose where you drop in when you start each game, and the map is rife with ziplines so you can work your way around the map easily. There are even hot air balloons you can ride to get to your next location, all without fall damage so you can run around to your heart's content. There's also the distinction of being a Champion. If you do well enough in-game to become an "MVP" of sorts in one match, the next one will name you a Champion. This means you'll get additional experience points and your likeness and gamertag will be displayed throughout the match as a bit of a brag to push your opponents to annihilate you. It's a genius way to push you to continue playing just one more round so you can chase that ever-dangling carrot. Ready to jump into the carnage and see if your team can make it all the way through to the end to be the last ones standing? 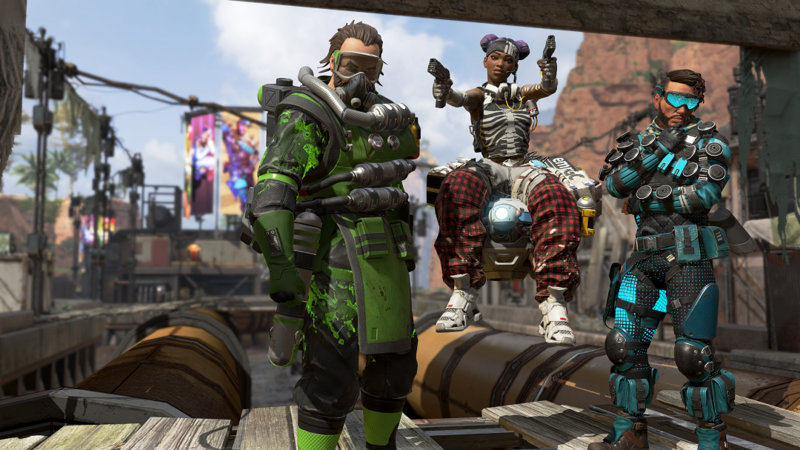 Jump in right now on Xbox One, PlayStation 4, and PC and make sure to consult our Apex Legends Wiki for answers to all your burning questions!